Everyone is faced with the challenge of finding better ways to manage, protect, collaborate and share product information in order to stay competitive within today’s global product lifecycle environment. With product development, manufacturing and suppliers geographically dispersed then you need better ways to connect your resources and the product information they are generating to remain successful. 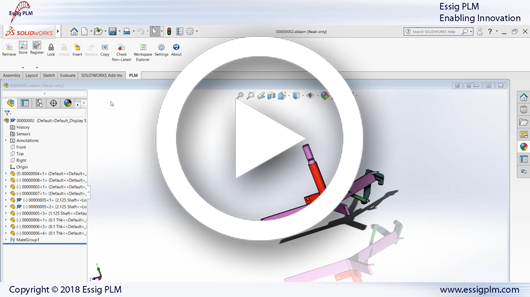 Connectors for PLM provide you with the ability to manage your critical CAD information while providing direct access to your PLM application. Through automation of business processes, improved collaboration and sharing of information throughout the extended global enterprise, Connectors for PLM improve the management of every element of product information generated throughout the product lifecycle. Essig PLM is an Aras Certified Partner providing complementary CAD Connector products and CAD/PLM implementation services to help drive your development performance. The SolidWorks Connector is your conduit to Aras Innovator Product Lifecycle Management (PLM) from your SolidWorks desktop. 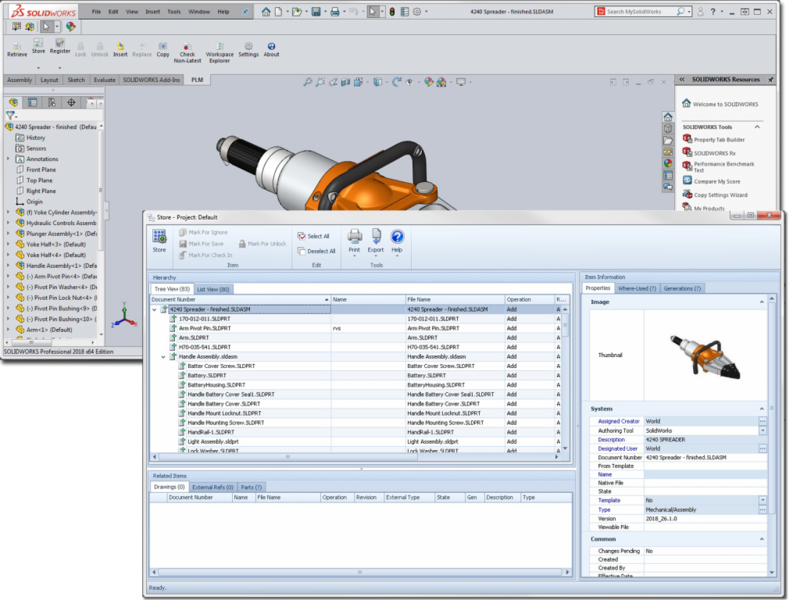 The SolidWorks Connector is fine-tuned to manage Aras CAD Documents for each SolidWorks drawing, assembly or part represented in the CAD hierarchy. 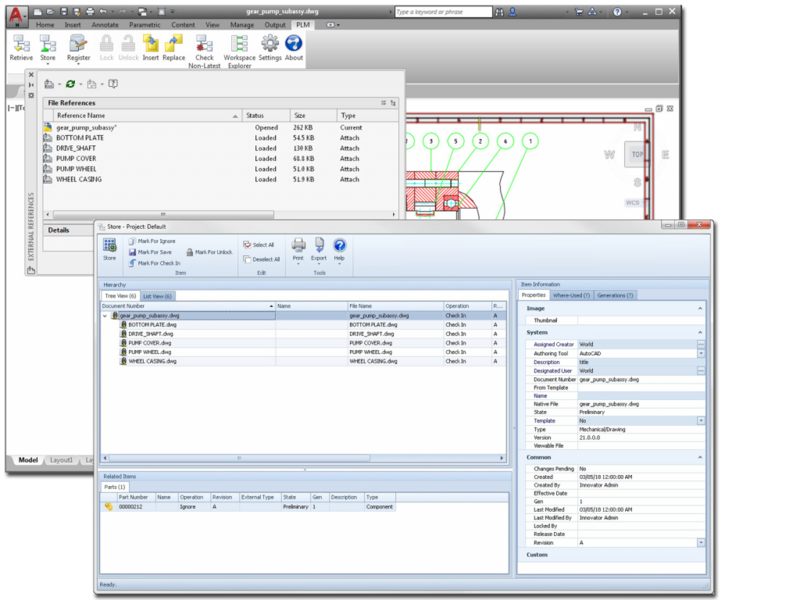 In addition, the SolidWorks Connector enables you to manage Aras Parts for each of your SolidWorks assemblies and part configurations as they relate to your Aras CAD Documents, and also provides the ability to manage your Aras Bill of Materials (BOM) as the complete as-designed CAD hierarchy. The Inventor Connector is your conduit to Aras Innovator Product Lifecycle Management (PLM) from your Inventor desktop. 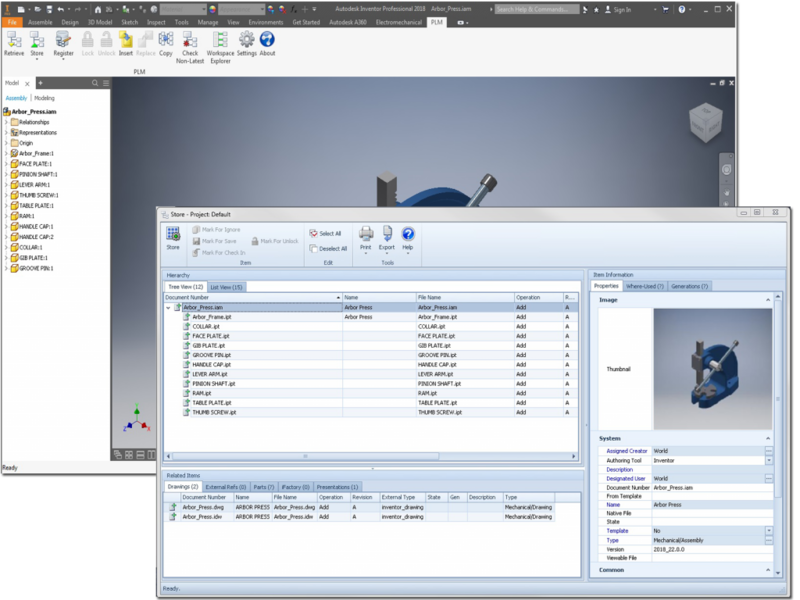 The Inventor Connector is fine-tuned to manage Aras CAD Documents for each Inventor presentation, drawing, assembly or part represented in the CAD hierarchy. In addition, the Inventor Connector enables you to manage Aras Parts for each of your Inventor iMembers as they relate to your Aras CAD Documents, and also provides the ability to manage your Aras Bill of Materials (BOM) as the complete as-designed CAD hierarchy. 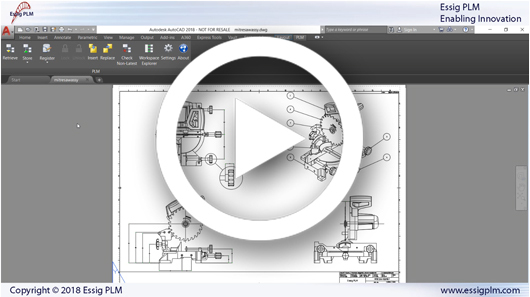 The AutoCAD Connector is your conduit to Aras Innovator Product Lifecycle Management (PLM) from your AutoCAD desktop. The AutoCAD Connector is fine-tuned to manage Aras CAD Documents and Parts for your AutoCAD Drawings. 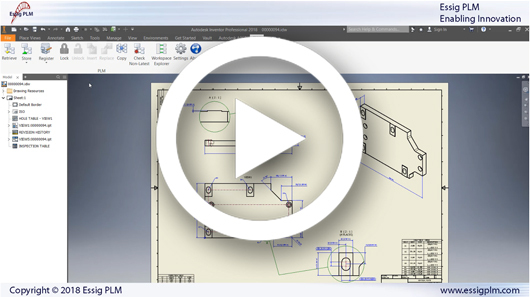 In an effort to provide visibility into the functional areas of the Connectors for PLM Integrator Suite, we have assembled a number of videos highlighting our solution capabilities to address common business issues within any organization. Essig PLM’s Connectors for PLM products and services require an active Connectors for PLM Subscription and will require an active Aras Subscription Package. Connectors for PLM Annual Subscription Support Services must be purchased annually in advance for all software licenses installed at a customer site. Subscription Support Services will not be provided to customers who are not current on the Connectors for PLM Subscription. Also, Essig PLM will not provide consulting and training services if the customer is not current on the Connectors for PLM Subscription.